Dante's dramatic journey through the circles of hell in search of redemption - and his encounter with devils, monsters and the souls of some of the greatest sinners who ever walked on earth - is one of the cornerstones of Western literature, the summit of medieval thinking and arguably the highest poetic achievement of all time. Inferno, the first part of Dante's Comedy, is presented here in a new verse translation by acclaimed poet and prize-winning translator J.G. Nichols, together with the original text facing, extensive notes, illustrations and a critical apparatus focusing on the author's life and works. Born in Florence, Dante Alighieri (1265-1321) is considered to be the father of Italian poetry and one of the greatest influences in world literature. His masterpiece, The Divine Comedy, is the zenith of medieval knowledge and a paragon of poetic imagination. 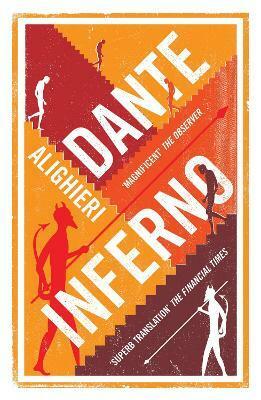 Its first part, the Inferno, remains one of the most popular books of all time.